Dickinson, Texas, located alongside a bayou about 30 miles southeast of Houston, suffered extensive damage during the hurricane that tore through the area two months ago. 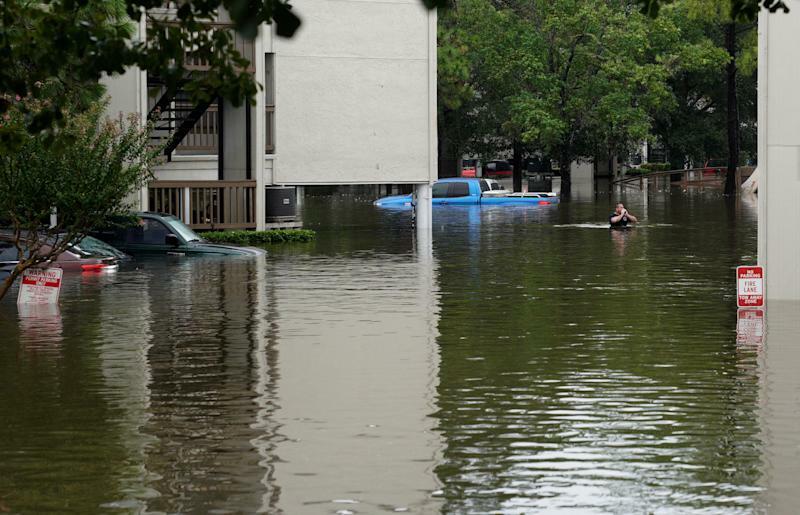 Half of the city’s 20,000 residents were impacted, and the storm caused serious damage to more than 7,000 homes and 88 businesses,according to local police reports. On Monday, the city posted a three-pageapplicationfor grant money on its website. The application requires residents to commit to using the money to repair their damaged homes or businesses, to follow all building codes and to verify that they do not boycott Israel. “The Supreme Court ruled decades ago that political boycottsare protectedby the First Amendment, and other decisions have established that the government may not require individuals to sign a certification regarding their political expression in order to obtain employment, contracts, or other benefits,” the ACLU wrote in a statement, referring to a 1982 decision that ruled that an NAACP boycott of a white-owned business in Mississippi was a protected form of free association and expression. The ACLU is currently representing a Mennonite school teacher in Kansaswho was denied an employment opportunity after refusing to certify that she does not boycott Israeli products. Texas is one of more thana dozen statesthat have passed laws in the last several years aimed at combating the BDS movement against Israel. Congress is alsoconsideringa bill that would make it a felony for Americans to boycott Israel. “Anti-Israel policies are anti-Texas policies,” Texas Gov. Greg Abbottsaidwhen he signed the bill into law in May. The ACLU is not aware of any Texas cities other than Dickinson that have conditioned hurricane relief funding on vowing not to boycott Israel. But several cities, including San Antonio,Galveston, andAustin, have inserted anti-BDS clauses in their contracting documents.